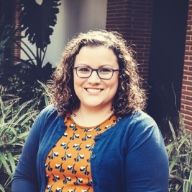 Laura Neely Villarreal, Associate Pastor, came to Parkway in September 2012. She graduated from Queens University of Charlotte in 2008 (BA) and Columbia Theological Seminary in 2012 (MDiv). She passionate about the educational ministry of the church in all its forms – Sunday school, fellowship, worship, mission work, and beyond.